The basic requirement for any AR experience—and the defining feature of ARKit—is the ability to create and track a correspondence between the real-world space the user inhabits and a virtual space where you can model visual content. When your app displays that content together with a live camera image, the user experiences augmented reality: the illusion that your virtual content is part of the real world. In all AR experiences, ARKit uses world and camera coordinate systems following a right-handed convention: the y-axis points upward, and (when relevant) the z-axis points toward the viewer and the x-axis points toward the viewer's right. Session configurations can change the origin and orientation of the coordinate system with respect to the real world (see worldAlignment). Each anchor in an AR session defines its own local coordinate system, also following the right-handed, z-towards-viewer convention; for example, the ARFaceAnchor class defines a system for locating facial features. World tracking also analyzes and understands the contents of a scene. Use hit-testing methods (see the ARHitTestResult class) to find real-world surfaces corresponding to a point in the camera image. If you enable the planeDetection setting in your session configuration, ARKit detects flat surfaces in the camera image and reports their position and sizes. You can use hit-test results or detected planes to place or interact with virtual content in your scene. Use tracking quality information to provide user feedback. World tracking correlates image analysis with device motion. 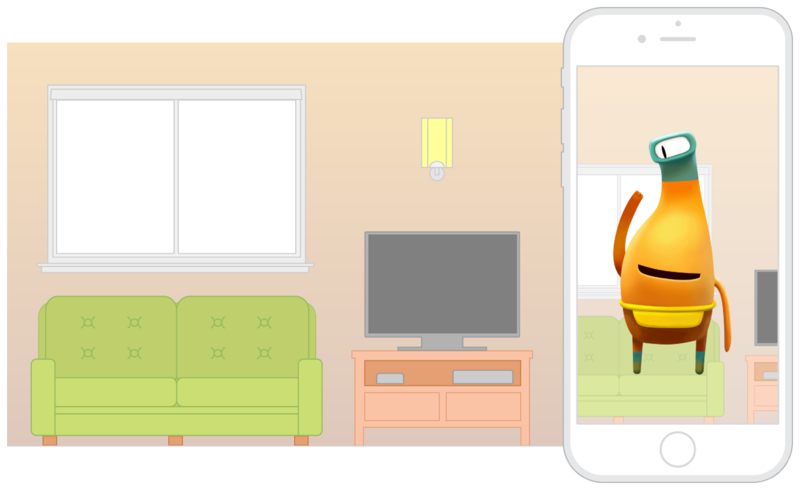 ARKit develops a better understanding of the scene if the device is moving, even if the device moves only subtly. Excessive motion—too far, too fast, or shaking too vigorously—results in a blurred image or too much distance for tracking features between video frames, reducing tracking quality. The ARCamera class provides tracking state reason information, which you can use to develop UI that tells a user how to resolve low-quality tracking situations. Allow time for plane detection to produce clear results, and disable plane detection when you have the results you need. Plane detection results vary over time—when a plane is first detected, its position and extent may be inaccurate. As the plane remains in the scene over time, ARKit refines its estimate of position and extent. When a large flat surface is in the scene, ARKit may continue changing the plane anchor’s position, extent, and transform after you’ve already used the plane to place content.